This template is best showcased on a digital screen indoors or just in front of the restaurant. Digital signage menu board enhances the aesthetics of the restaurants and gives it a vibrancy and a perception of a 'happening' place. Also, best for customer engagement and feedback. 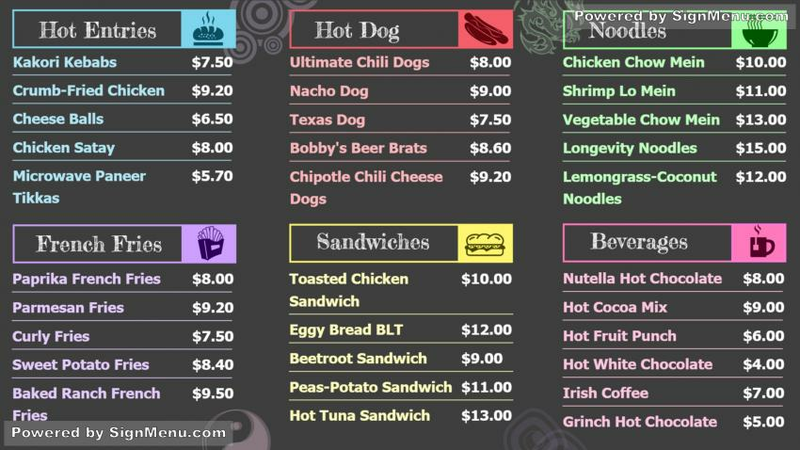 This template provides a touchstone for your digital menu board and is ready for download and use.